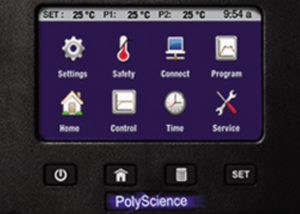 Accurate Thermal Systems lists the most popular models on our website but is an authorized distributor for the complete Polyscience line. 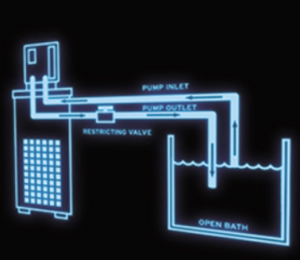 Let us know if you need a product not shown on our website including immersion circulators, refrigerated chillers, circulating and static water baths as the complete line is very comprehensive with a solution for every application and end user requirement. 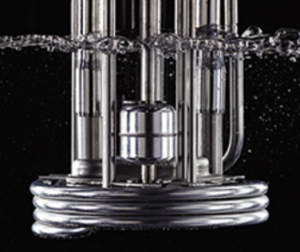 We offer the most competitive pricing for these products in the industry. Contact us today for a quotation! One of the best lab partners you’ll ever need! Need to position your bath at an odd angle or read the temperature from across the room? We’ve got it covered. 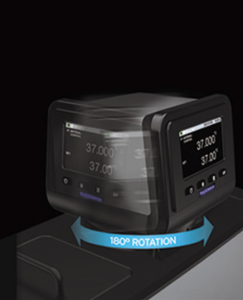 The patent-pending Swivel 180™ Rotating Controller on PolyScience Circulating Baths lets you move the extra large temperature display independently from the bath, enabling you to clearly read the display from anywhere within a 180° viewing radius, with the press of a button. 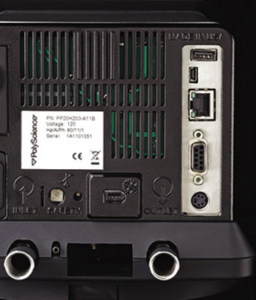 User-friendly temperature controllers guide you through setup and operation using universal icons, on-screen help and logical menus. Our lid stowing system gives the lid a convenient place to perch while you add liquid or work with samples, yet doesn’t interfere with controller viewing or operation. Condensation drains back into the reservoir as well, keeping you lab bench clean, dry and uncluttered. 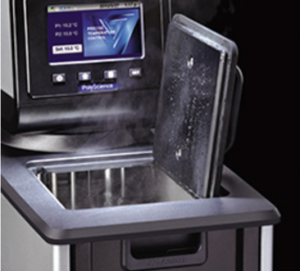 The precision-molded phenolic bath top remains cooler at high temperatures and resists laboratory chemicals. Plus, it’s easily cleaned and disinfected. Access has been increased to allow for maximum utilization of the circulating bath. Quiet, energy-efficient heat removal. 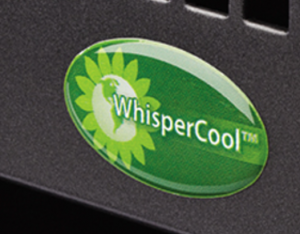 Our patented WhisperCool® Environmental Control System, standard on most PolyScience Refrigerated/Heated Circulating Baths, reduces noise levels below conversational speech at a distance of two meters. In addition, our adaptive environmental technology optimizes performance, reducing overall energy consumption and prolonging equipment life. 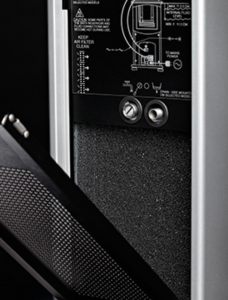 Achieve the temperature you want, when you want it. Cool Command™ efficiently and quickly extracts heat, even at elevated temperatures, ensuring the most precise temperature control. Our Performance and Advanced Series Controllers feature temperature and float shut-off systems meeting DIN 12876-1 Class III standards for use with flammable liquids. Powerful, variable-speed pumps are available on Performance and Advanced Series Temperature Controllers and are well suited for open- or closed-loop external applications. The front-mounted drain makes it easy to remove liquid from the bath and clean it. Our washable air filter helps keep the circulator running at peak performance and energy efficient. DuraTop™, and all surfaces, are chemical resistant and easy to sanitize. Setup instructions are printed “behind the grille." You can easily reposition the circulating bath with convenient, built-in handles that don’t catch other equipment. 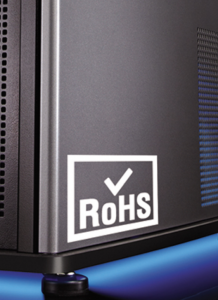 The elimination of RoHS-specified chemicals substances from fabricated components contributes to a cleaner, safer environment. In addition, all of our baths comply with WEEE, IEC 61010-1, IEC 61010-2-010, IEC 61326-1, DIN 12876 and are CE and ETL certified. 1/4" NPT fittings with hose adapters included for 3/8", 1/4" and 3/16"; 1/4" NPT to M16 adapter also included with 50 Hz models.